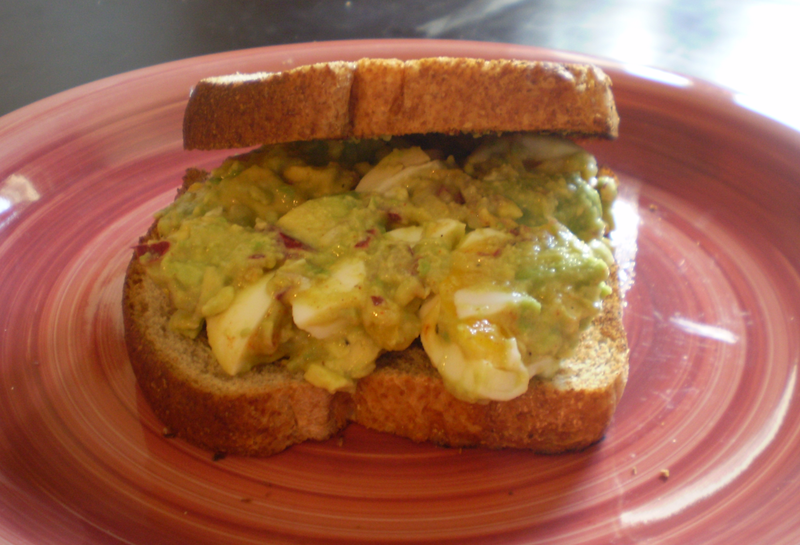 Avocado, red onions and eggs. 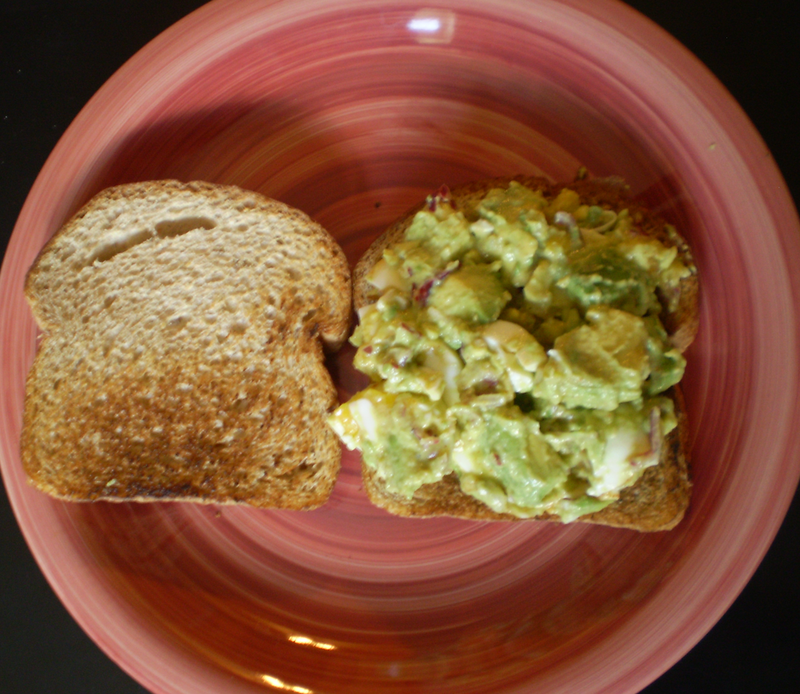 Avocado, eggs and red onions mixed with paprika, salt, pepper, dijon, lemon juice and olive oil. In a large mixing bowl, add in the onions and lemon. Let sit for a few minutes so that the lemon juice reduces the raw taste of the onions. 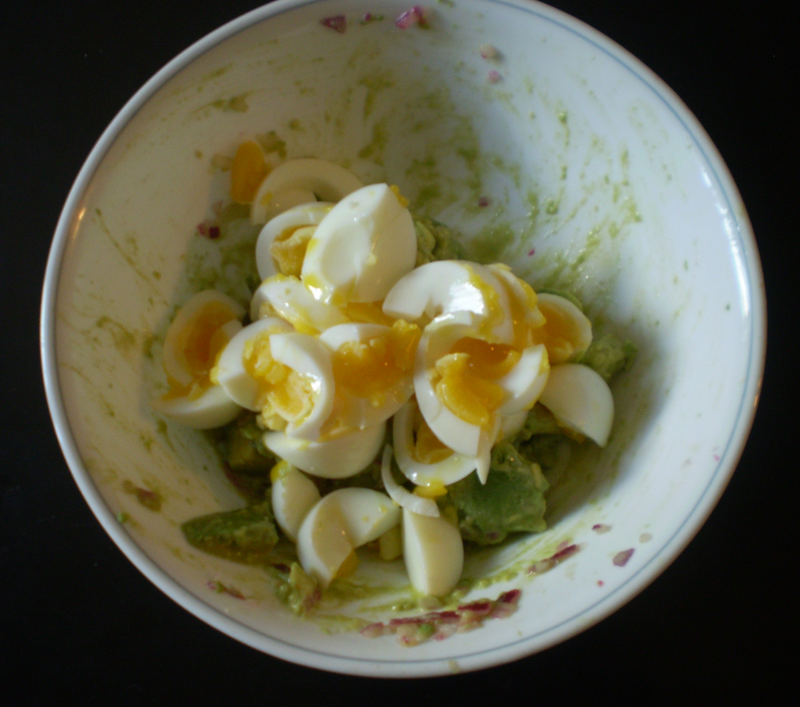 Add in the avocado pieces and extra virgin olive oil, then roughly mash. 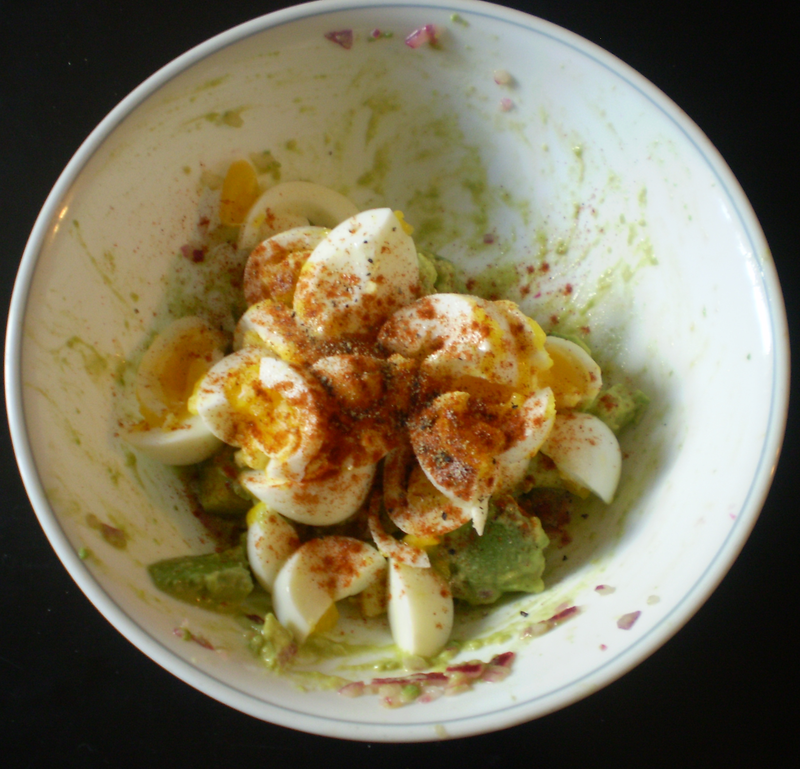 Add in the eggs, paprika, salt, pepper and dijon. Combine well. 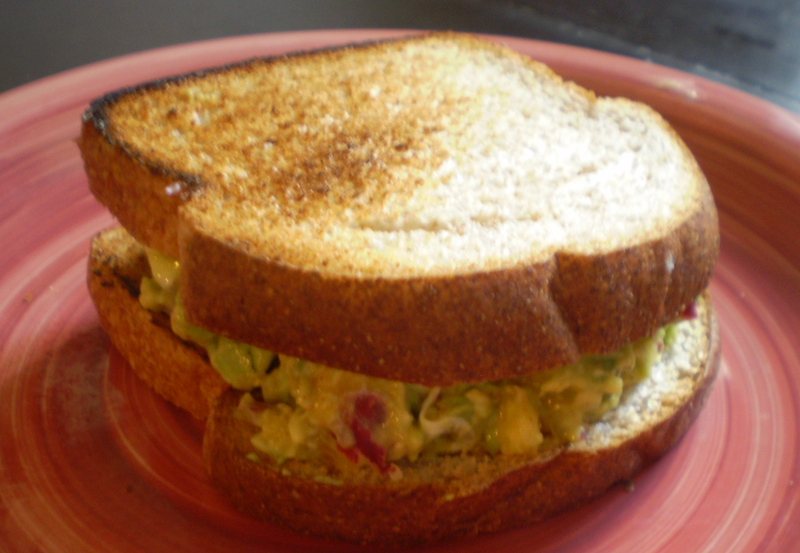 Assemble the sandwiches and enjoy.